Facebook Event Promotion Tips from Start to Finish! 2. What experience do I have with events on Facebook? 3. What is an event on Facebook? 4. Where do you find events on Facebook? 5. Who can create events on Facebook? 6. Planning an event that you would go to. 7. How to create an event on a Facebook page. 8. What's holding you back from going forward with your event? 9. Setting a start and end time for the event on Facebook. 10. Picking an image that has no text quickly for the event. 11. Focusing everyone at one destination. 12. Free events usually are much easier than paid events. Creative pricing strategy. 13. Publishing the event once everything is in place. 14. Writing a description that appeals exactly to the person guaranteed to attend. 15. Making a great event is all about promotion. 16. Getting the very first person to join is the most important step to start. 17. Inviting friends on Facebook should happen AFTER a personal message. 18. Even while creating lectures, the message to friends worked to get another join. 19. Every post after the initial one should help explain more about the event. 20. Facebook invites are so often ignored it can take persistence to get acceptance. 21. Making sure 3 people that are most important to attend are coming. 22. When you create the event, it is shared right away on the Facebook page. 23. Sharing the event in related groups helps get more organic reach. 24. Bigger is not always better. An event with too many people can be a disaster. 25. If no one is responding, now is a great time to change the event or try another. 26. Are you ready to use Facebook advertising for your event? 27. Making the first ad for the event in the Facebook ads manager. 28. Using the power editor to quickly split test different ad creatives. 29. Copying ad sets with the Facebook ads power editor to split test audiences. 30. Use the event discussions to convert people to "going" to the event. 31. Using a location where good event attendance will draw more people. 32. Upload a video with a link to the event for better organic reach. 33. 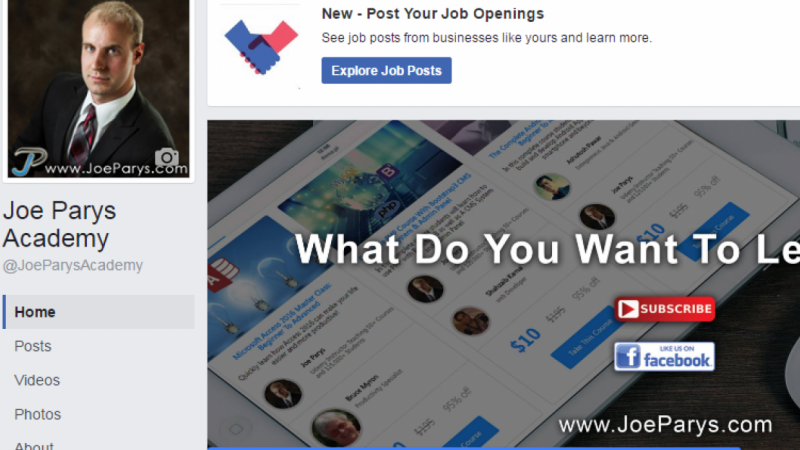 Creating Facebook post engagement ads for the videos with links to the event. 34. Move the events tab up to get more people viewing it on Facebook. 35. Uploading a video to my YouTube channel that shows how to join on Facebook. 36. Reviewing the results of the initial promotional efforts on the Facebook event. 37. Optimizing the Facebook event ads to get more joins for a lower cost. 38. Pausing ads that are ineffective and limiting the campaign spend. 39. Posting a poll to understand what people plan on doing. 40. Every comment and response is very valuable the day before. 41. Making a post to get people excited about the event and remind those forgetting. 42. Converting comments into informed people that show up. 43. The day of the event is a great time for a balanced life. 44. Replacing the idea of success with honesty and effort. 45. How did my Facebook event go? 46. What next? Finding what you love to do and doing it daily is the opportunity! 47. Every piece of feedback is useful good and bad! If you want to learn how to promote an event on Facebook, you might love this course! Take this course to see my system for creating and promoting a new event I make on Facebook which results in hundreds of people attending! When you finish this course in a few hours, you will have the opportunity to avoid the mistakes I made promoting events on Facebook and feel confident you know what to do in making your own event on Facebook! How did I gain the experience to teach this course? I promoted my own Facebook events and a world tour for a client. My first two Facebook events were complete disasters. I spent a lot of time, money, and energy creating and advertising events that NO ONE CAME TO! These failures motivated me to keep trying new strategies which finally resulted in a successful event that launched my career in teaching online. You are here now because of the first successful Facebook event I did which showed me what I could do that the world would appreciate most. My successful Facebook event led me to promoting a world tour for a client in cities across the USA. The experience from this gave me the tools to make a course for you that I hope is simple, effective, and fun! Thank you very much for reading this and I hope to answer any questions you have in the course soon! What kind of event would you like to promote on Facebook? Email marketing without asking for an email address! The Complete Facebook Ads and Facebook Marketing Course!